According to a recent report Mercedes will release a new version of their AMG GT this year, the car will be called the Mercedes AMG GT R and it is looking to take on the Porsche 911 GT3 RS. 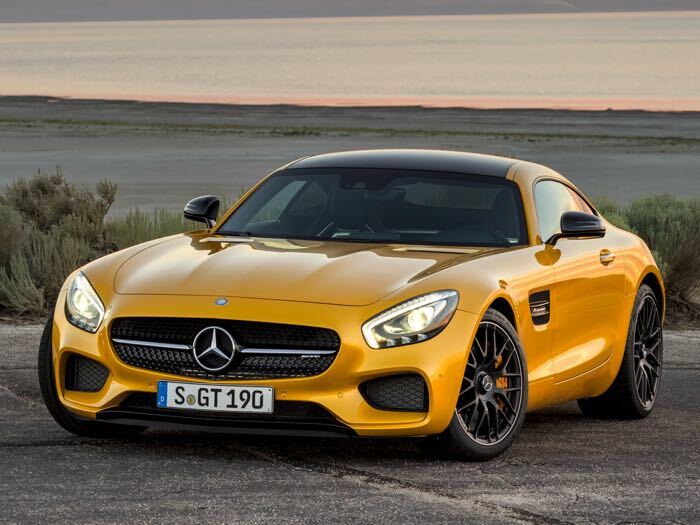 This will be the third and most powerful car in the Mercedes AMG GT range and it is said to come with a number of upgrades over the GT and GT S.
The new AMG GT R will apparently come with and upgraded engine with around 570 horsepower, the AMG GT S has 503 horsepower. It will also get a number of other upgrades and it will get some parts from the race version of the GT that was announced at the Geneva Motor show last year. It will get some of the exterior parts for the race car and it will also be lighter than the current GT and GT S models. We can expect the production run of the Mercedes AMG GT R to be limited and prices of the car are expected to be higher than that of the £110,500 that the GT S currently retails for, no details on the exact price but as it will be a limited edition it is expected to command a significant premium over the GT S.